London South Bank University (LSBU) student entrepreneur Chris Underdown has won £6,000 to grow Choosic, a new music recommendation app, at the London Entrepreneurs' Challenge hosted by University College London (UCL). Chris competed with his Choosic teammates, data science builder Thinh Ha from UCL and project manager Alessia Sannazzaro from Goldsmiths, University of London. The team won £1,000 for a three minute pitch midway through the challenge and a further £5,000 in the final stage, which involved submitting a business plan and presenting a seven minute investment pitch. 24 businesses took part in the final phase. "The London Entrepreneurs' Challenge is good preparation for pitching in front of investors. My presentation skills have really improved from these kinds of competitions and challenges," says Chris. "It's also great to meet like-minded people in different stages of their businesses and gather knowledge from others' experiences." Chris is currently in his third year of studying towards a BA (Hons) Music and Sonic Media, and is also on our Entrepreneurship in Action (EiA) programme. He founded Choosic last year after getting inspiration from a university research project on digital music distribution. Through the EiA scheme and the other opportunities presented by Student Enterprise at LSBU, Chris was able to develop his business skills and get start-up support at the Clarence Centre for Enterprise and Innovation. "I took part in the LSBU business plan competition in summer, which was a seven minute pitch followed by question time – pretty much the same amount of time you get with investors. I think that really prepared me for that real investment experience," he says. 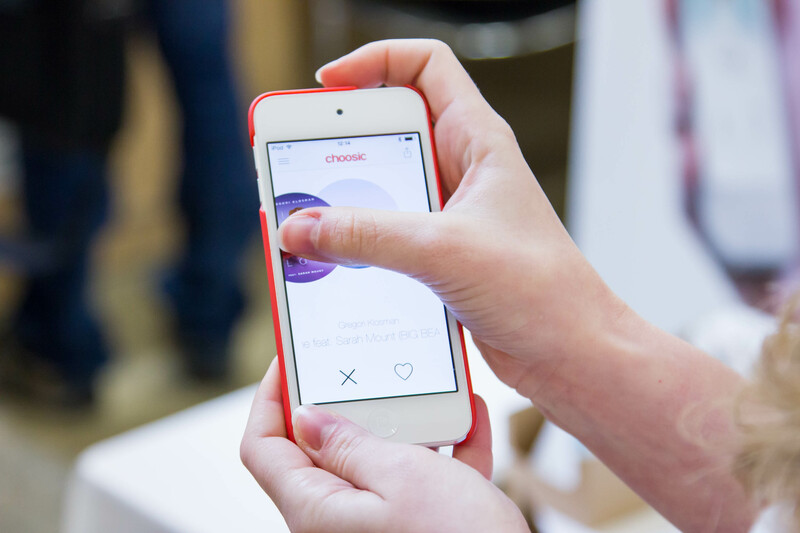 Choosic now intends to put its recently-acquired funding towards growing its user base, which currently stands at about 1,000 users, and further developing the product.